We’ll ensure the success of your heating installation in Lake Norman by paying attention to the small things that matter most. If your utility bills are very high during the colder months, you may want to check the efficiency of your furnace. Experts generally recommend looking at three factors when deciding if you want to upgrade with a new heating installation. The first factor is the efficiency of your current furnace, which can typically be measured by an HVAC expert. Factor #2 is the cost of fuel; if you live in an area where utilities are higher, installing a more efficient furnace can save a lot of money over the years it will be in your home. The third factor is the heating load of your home, which is calculated by the amount of energy it takes to keep the indoor temperature at 65 degrees. 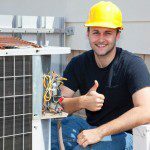 If you have looked at these three factors and decide that a new furnace is a good option for you, it’s best to use a professional heating installation company. When you buy and install a new furnace, you need to know the exact specs and size that will fit into your utility closet, and a heating technician can tell you the best options that will fit in your price range. Some furnaces can use as much as 97% of the fuel supplied, which helps you save on fuel costs. Additionally, some federal programs and rebate options can give you tax credits or cash bonuses just for upgrading your appliances to energy-efficient models. If you live in the Lake Norman, North Carolina area, give us a call at Cool Comfort Heating and Air for your heating installation needs. Our experts provide great service at an affordable price!